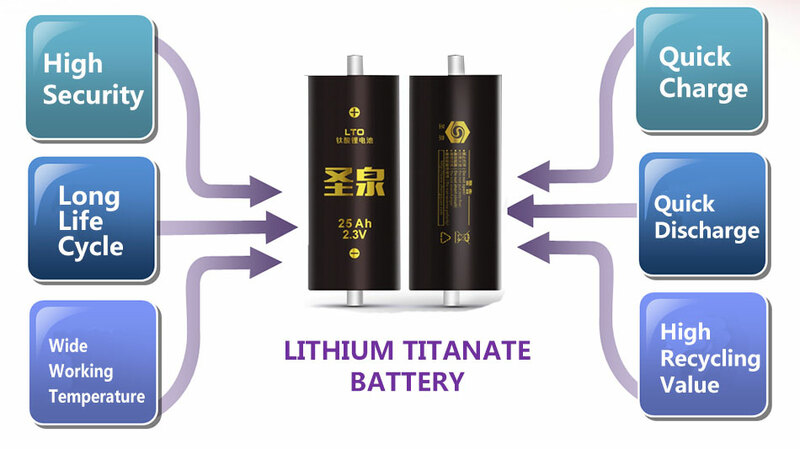 Lithium ion rechargeable battery with 2.3V is consist of lithium titanate as cathode material and lithium manganese oxide, ternary material, lithium iron phosphate as anode material. The working voltage of lithium titanate battery is 2.3V, the highest voltage is 2.7V, and the charge current can reach 4C. Lithium titanate battery is featured with high safety, high stability, long life cycle, green and environmental protection. 1. high security: SEI film can be hardly formed, which avoid fire due to overheat. 2. quick charge: 15 minutes only. 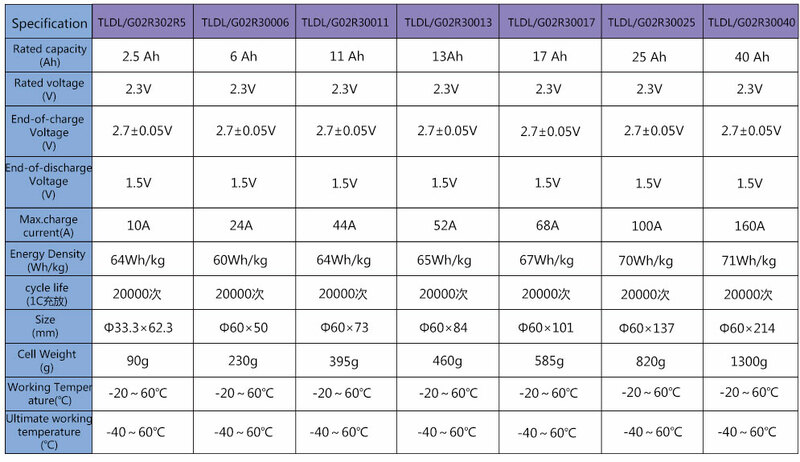 3. wide temperature range: -40-60℃.